Ever wonder why some people can communicate with animals or with nonphysical beings? Know anyone that can see energy? Know any healers? Has your small child ever told you about their "real parents" or what they used to look like? 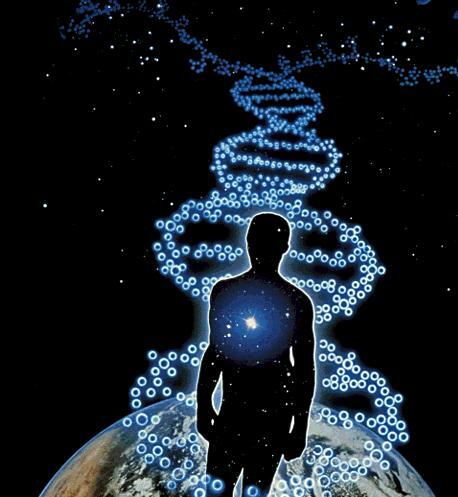 These are just some of the innate abilities that are inherent in our DNA awaiting activation. What do you think “junk DNA” is and why is there so much of it? Some Indigos come in with their innate abilities activated from the get go. Others may be activated after being triggered by some event or series of events and some just activate over time. Below is just a short list of what many consider to be “supernatural” abilities or "gifts" but are truly just natural abilities inherent in everyone. Many now dormant Indigos probably exercised these abilities to some degree as children. Many Indigos have aspects of these innate abilities active to a varying degree. They can get stronger over time and with exercise. Think of them like muscles that are in a state of atrophy. Communicates with plants or animals through thoughts or feelings; ability to shift consciousness and view things from plants or animals perspectives; natural affinity for certain places, plants and/or animals; remembers being a plant or animal; at ease with “dangerous” animals or “dangerous” outdoor activities; lives near sacred sites and/or energy portals; travels to places just to be and absorb the energy; strong desire to protect the earth and her endangered species; works in nature or with animals; prefers time in nature or with animals to humans and the indoors; called to certain places they've never been. Human x-rays; can see others internal organs, nervous and/or skeletal systems; medical intuitives; can see or feel blocked energy; can identify the negative thoughts or emotions causing disease; hands-on or hands-off energy healers; accelerates healing; spontaneous healing; doesn't need or use medicine; can clear, move, and balance energy. Clear connection to other streams of consciousness, dimensions, multidimensional beings, higher-selves, guides, and angels; can communicate with or channel non-physical or extraterrestrial beings; can see, hear, read and/or feel energy or the non-physical; can see future and/or future probabilities; telepathic; can tune into the subconscious of others; clear knowing of things without proof or that can’t be proved; access to the Akashic Records; can feel what others are feeling; can sense danger; can read people; can read physical objects; strong intuition. Remembers our true origins; remembers past lives; remembers past deaths; remembers what they used to look like; remembers their old parents; remembers watching their current parents before they were born; remembers choosing their parents; remembers being born; remembers how to walk, talk, and read without being taught; remembers different languages; recognizes people from past lives.